Chai is a creamy, spiced tea made with a mix of black tea, milk, cinnamon, ginger, cardamom, cloves, pepper, and various other spices. It is usually sweetened – most often with sugar, but some drinkers prefer honey. In India, chai is as common as tea is in Britain and coffee is in the United States. There is not a standard recipe for making chai. The mix and amount of spices, along with the type of tea used, can vary and often depends on the taste preferences of who is making it. Some tea companies promote the health benefits of drinking chai. Yet, while this tea may be healthier for the body than other drinks, not all chai is made with the same ingredients. Therefore, it is not possible to make a universal health claim about this aromatic brew. Also, when drinkers brew their own chai tea, rather than buying it pre-prepared in boxed liquid or tea bag form, it is likely to be healthier because the spices and herbs being used are much fresher. In a recent study by the U.S. Agricultural Research Service, cinnamon was shown to benefit diabetics because the cells are less likely to let insulin in. In lab rats with Type 2 diabetes, cinnamon helped lower blood pressure and prevented cell damage. Cinnamon’s oils also help to stop the growth of certain bacteria and yeasts. In the Far East, ginger has been a long-standing remedy to treat symptoms from an upset stomach, diarrhea, arthritis, and heart disease. Recent research by Western scientists also suggests that ginger may help lower the risk of colon cancer. Like ginger, cardamom is often used to soothe digestion problems. It is also used to treat respiratory problems such as asthma or people suffering from other kinds of respiratory spasms. In Saudi Arabia, animal studies have shown cardamom to have anti-inflammatory properties, reducing muscle spasms. Used in Ayurvedic medicine as an analgesic, cloves are most often used to soothe toothaches and remedy halitosis. It also has antiseptic qualities, and can be used to kill intestinal parasites, fungi, and bacteria. These latter qualities have also led cloves to be used for treating diarrhea and similar digestive ailments. Most tea recipes do not usually contain enough black pepper to be of significant benefit to drinkers. However, black pepper does reduce intestinal gas and works as an antioxidant. The best way to ensure that your regular cup of chai provides you with the health benefits you’re looking for is to brew it yourself. Then you can select the herbs and spices that taste the best to you and benefit your specific health condition. For a variety of recipes, click here: Chai Recipes. 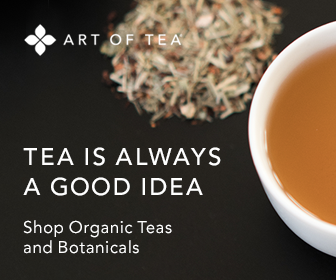 To buy loose-leaf chai blended with the spices already mixed and ready to brew, visit Art of Tea. This article was written by Rachel Medlock.